Flat in appearance but not in taste! I was looking for something to bake the other week with ingredients that I had on hand and came across this recipe for Chewy Coconut Cookies on Allrecipes.com. They are one of my favorite sites because the reviews tend to be very accurate. These cookies were rated 4.5 out of 5 stars by 939 people, which means they must be pretty good. Well, I made them and I loved them. 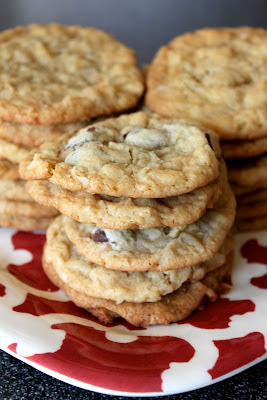 The original recipes does not call for chocolate chips, which I decided to put in half. I like then equally with and without the chips. The pictures that accompanied the original recipe also showed pretty fluffy cookies and you can see mine came out very flat. I read several of the comments which recommended chilling your dough before baking, which I did and they were still flat. In the end the cookies were incredibly chewy and delicious so I did not mind one bit that they came out flat. I will definitely be baking these again. Preheat oven to 350 degrees Fahrenheit. Combine the flour, baking soda, and salt; set aside. In a medium bowl, cream the butter, brown sugar, and white sugar until smooth. Beat in the egg and vanilla until light and fluffy. Gradually blend in the flour mixture, then gently mix in the coconut and chocolate chips. 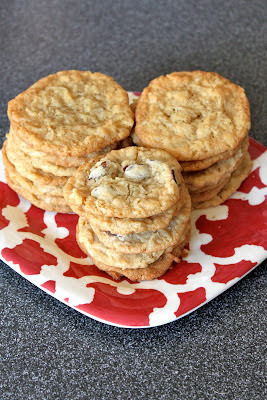 Drop by teaspoonfuls onto an ungreased cookie sheet. Bake for 8 - 10 minuted in preheated oven, or until lightly browned. Cool on wire racks. If you are a fan of chocolate covered strawberries then you are going to love these cupcakes. The cupcakes are rich, moist, and delicious and the frosting tastes like a strawberry milkshake. You really can't go wrong. 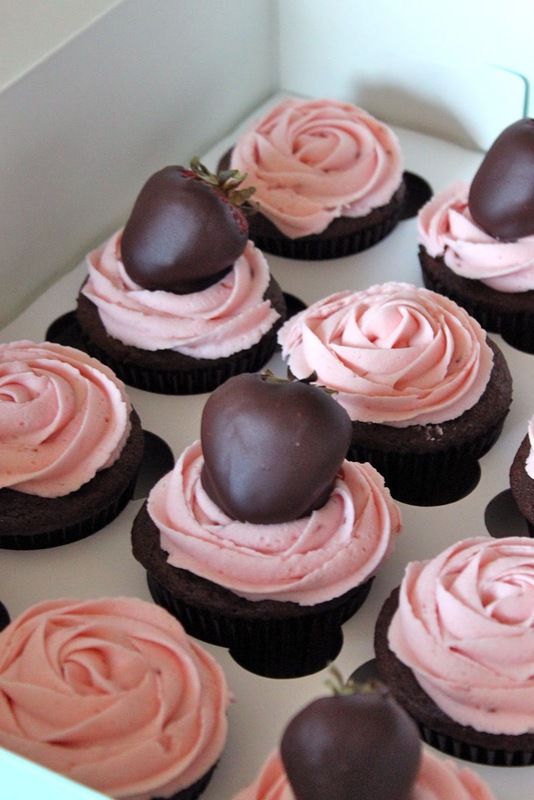 I decided to top half my cupcakes with strawberries that I dipped in melted dark chocolate. Of course this is completely optional, but I thought it added a nice touch. In other news, I am still pregnant. Less than two weeks until my due date and I am hoping this little guy decides to make his appearance before then. Beat butter and vanilla until creamy. Mix in strawberry jam and salt. Add powdered sugar 1 cup at a time, beating until combined. Add milk 1 tablespoon at a time until you reach desired consistency.